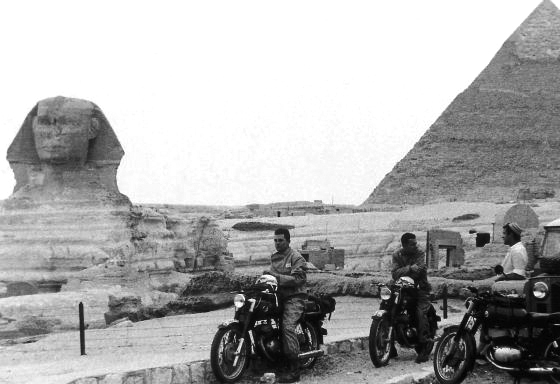 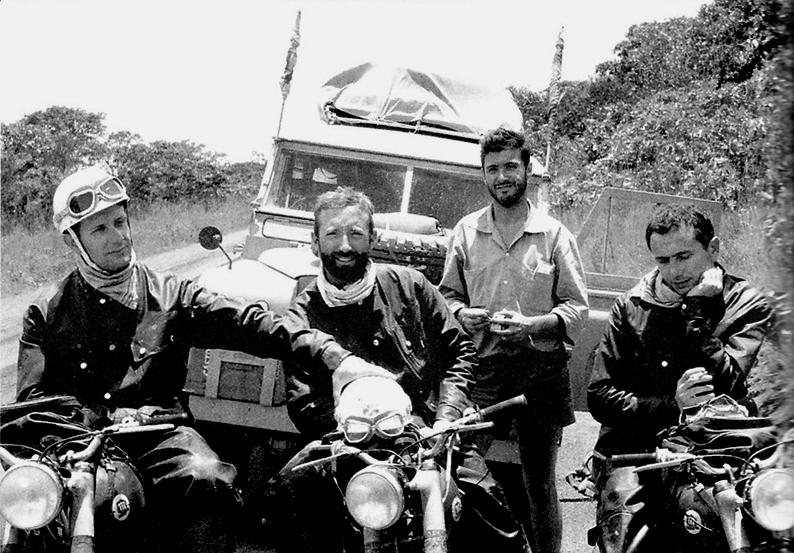 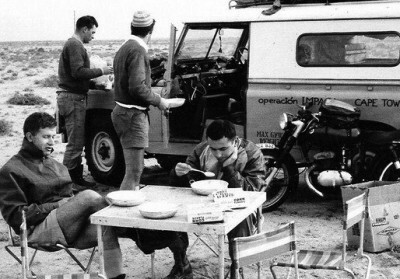 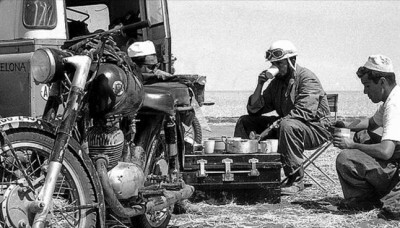 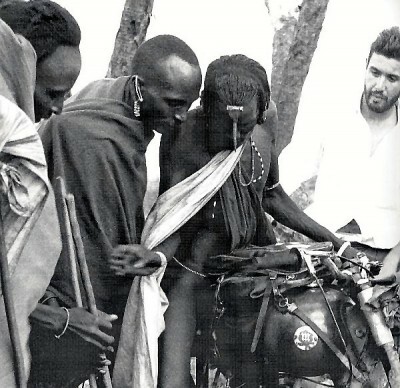 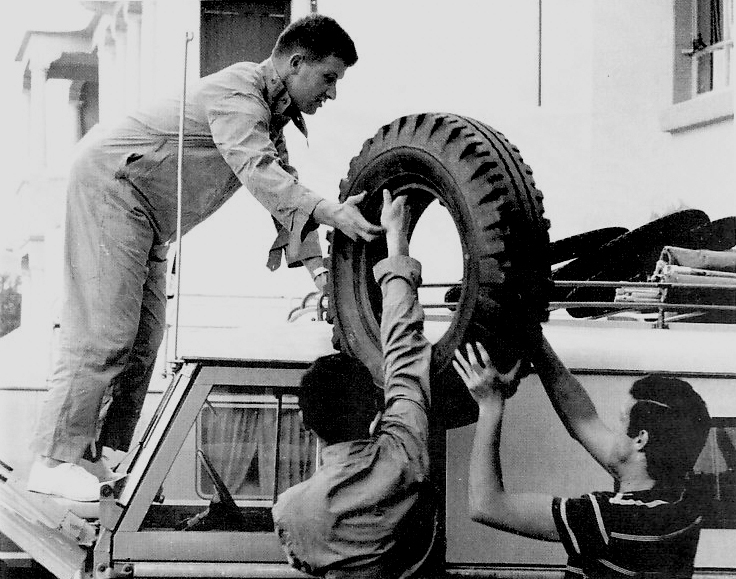 Operacion Impala (Operation Impala) was the dream of five Spaniards to cross Africa on a motorcycle. In 1961 they covered 20,000 kilometers (12,500 miles) in 100 days across Africa from south to north in three prototypes of Montesa Impala and a Land Rover as support. Oriol Regás, Rafa Marsans, Tei Elizalde, Enrique Vernis and Manolo Maristany. 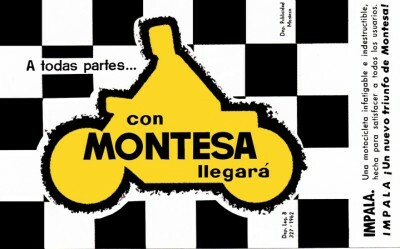 Oriol Regas the brain behind the expedition, club promoter, race pilot and bon vivant, contacted Montesa factory. 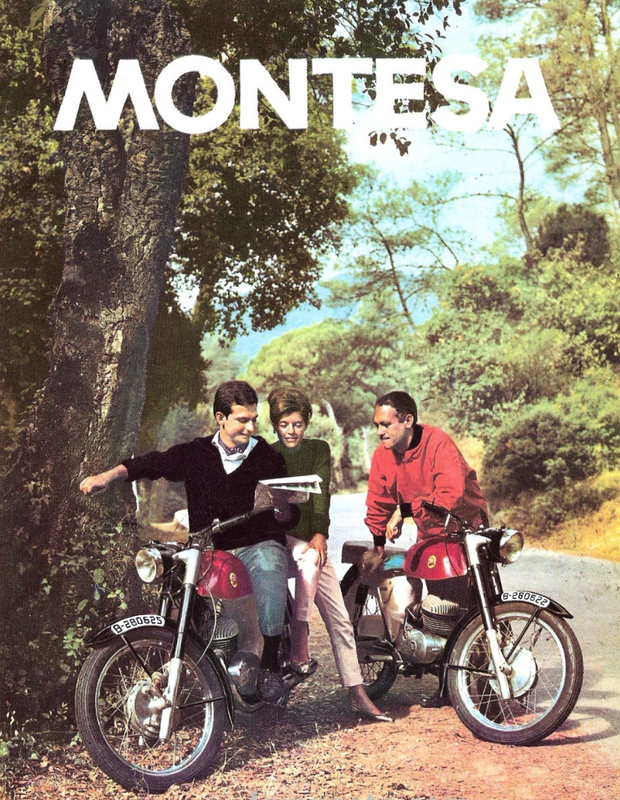 Montesa happened to be working on a new model and sized the opportunity to use the expedition as a launch campaign for their new model. 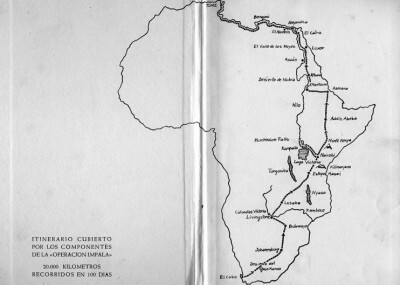 They flew from Barcelona to Cape Town (South Africa), The route took them through Zimbabwe, Rhodesia (currently Zambia), Tanzania, Abyssinia (currently Ethiopia), crossed Egypt, came to Alexandria and ended up in Tunisia. From there to Marseille in a ferry to finish back in Barcelona. 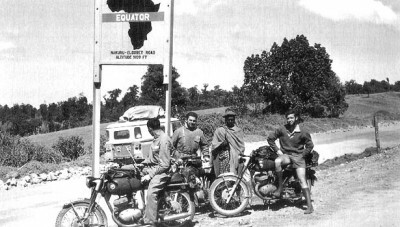 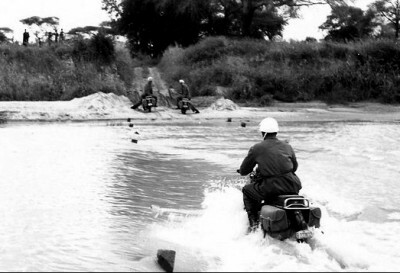 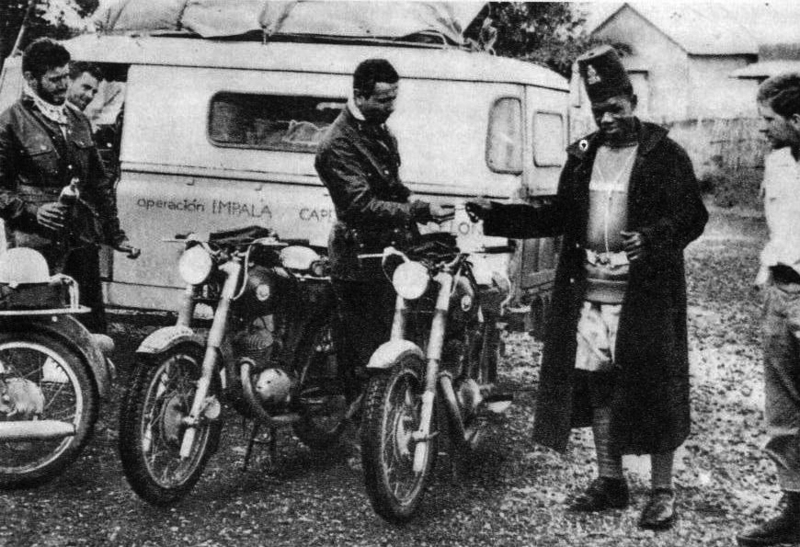 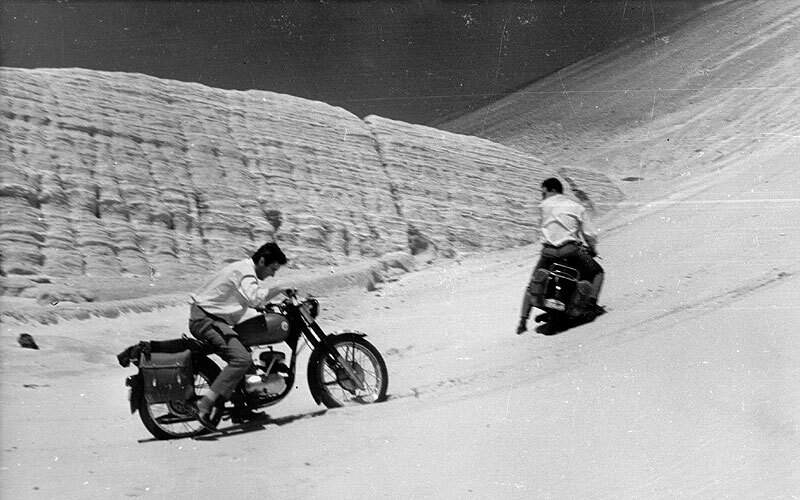 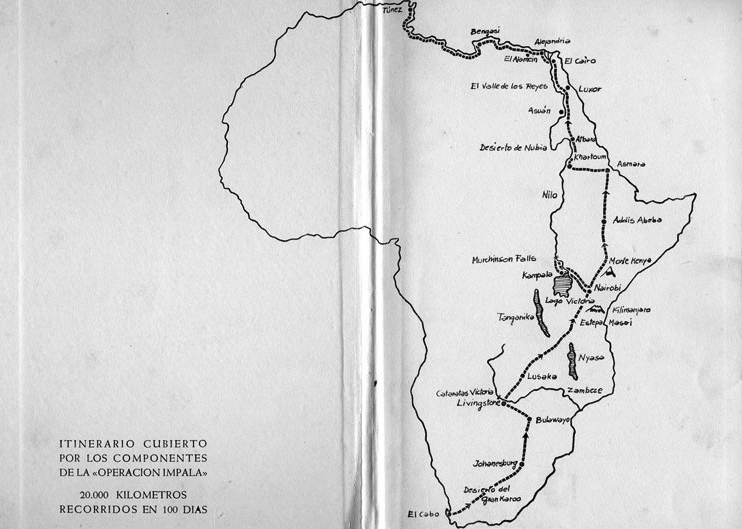 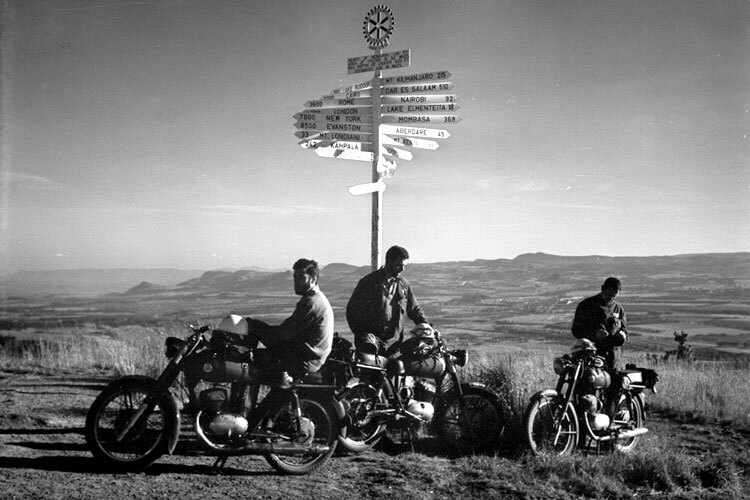 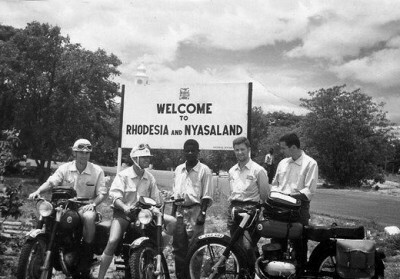 Operación Impala was the first documented expedition to cross Africa on motorbikes. The Impala was a single-cylinder two-stroke bike, 175 cc and 10.5 horsepower. 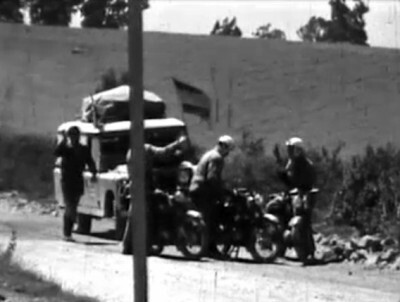 It weighed 90 kilos and reached 110 kilometers per hour (70 miles per hour). 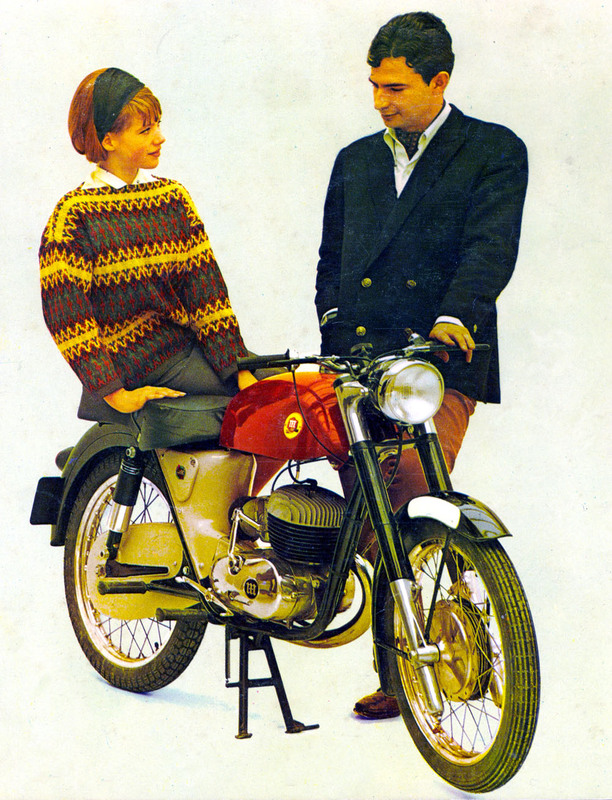 I was the first bike in which engine and gearbox formed a unitary block. 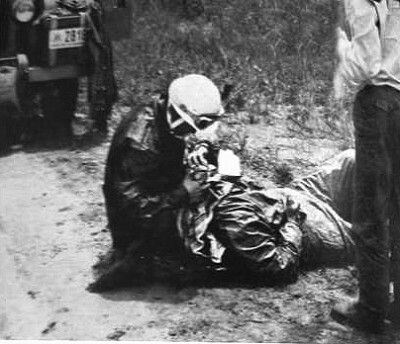 The expedition Operacion Impala had a great impact in the press. It marked the launch of Montesa as a leading brand and gave it its reputation for robustness, reliability and legendary performance. 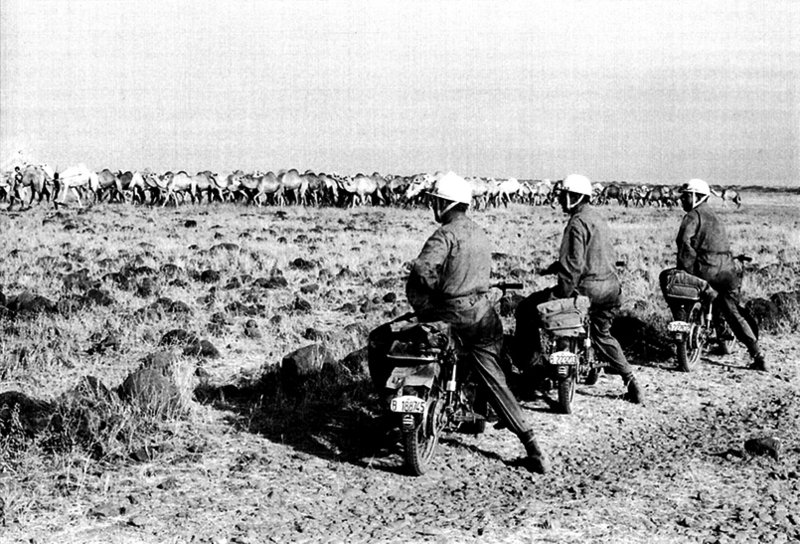 In Sudan they encountered the first major problem: Sudan was at war, and they had to modify their route. 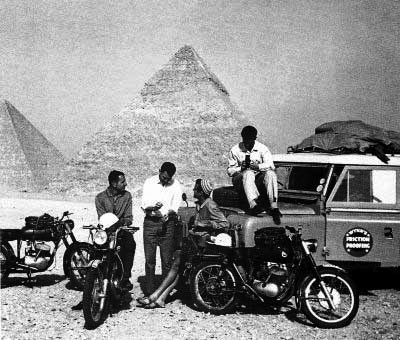 The brand rewarded the expedition with the first five units out of the factory. 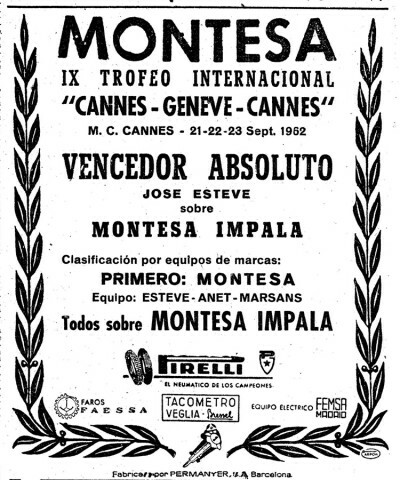 The impact was such that Montesa abandoned the idea of naming his new bike with the name of Montjuic and called it Impala. 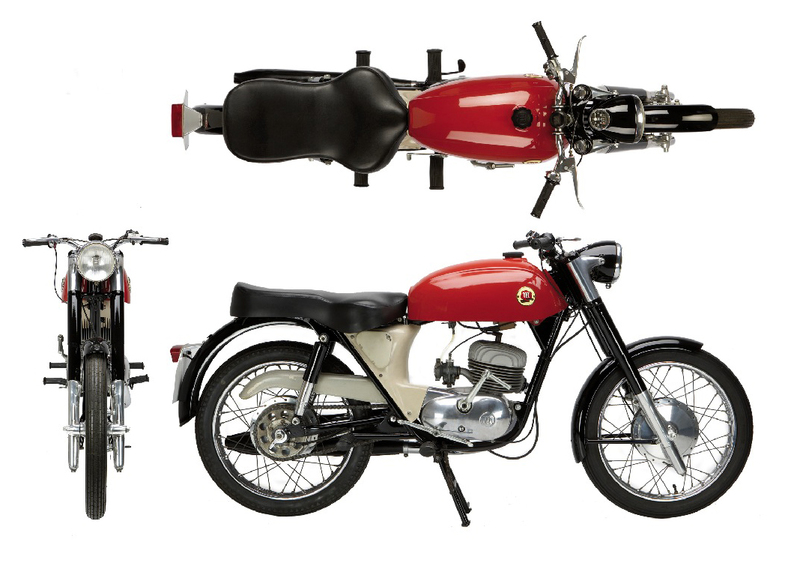 The model was a success and paved the way for the golden age of the Spanish motorcycle. 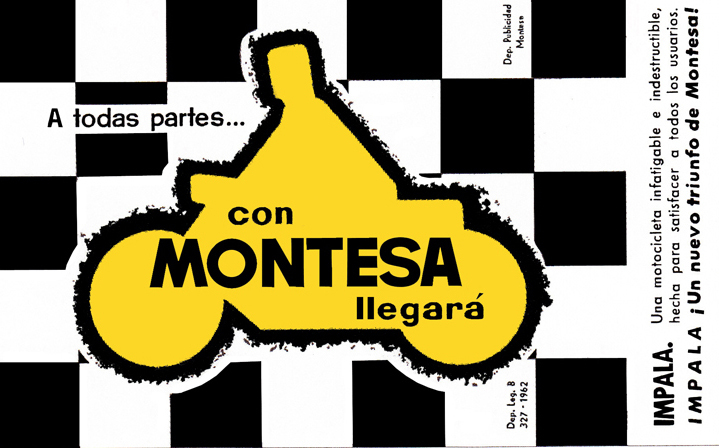 Montesa, Bultaco , Ossa, Derbi and Sanglas were all localy designed and built. The Impala became the basis of almost all subsequent production of the brand. It participated in speed, endurance, and cross-road races. 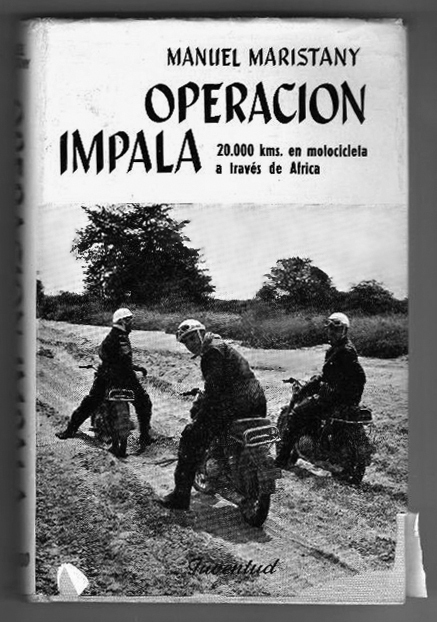 60,000 units of all Impala models were produced. 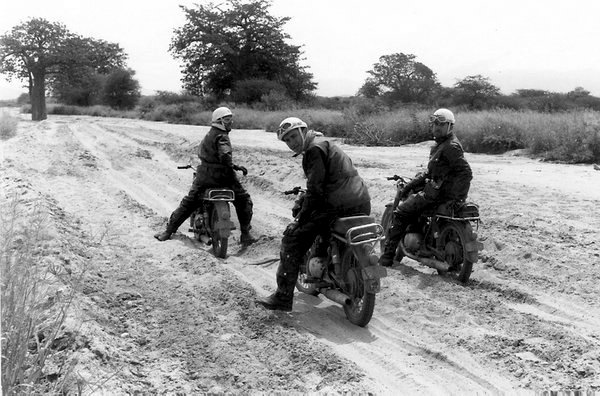 It had race and even off-road versions. 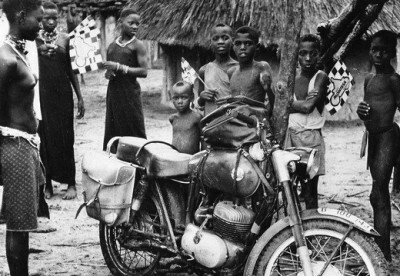 The Impala was sold worldwide including the States, Steve McQueen and John Wayne had one. Today Montesa Impala is a classic and a cult bike.